“Don’t look and it won’t hurt” turns out to be true when it comes to injections, including flu shots and vaccinations. 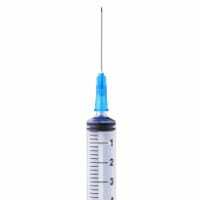 Research is showing that how we’re set up to receive an injection actually influences whether we feel pain, including whether the clinician tells us the shot will hurt or not. Looking away is the greatest way of all to avoid pain, according to the science journal, Pain.